I recently started playing the Star Wars Battlefront battles and I honestly like this game mode which allows you to play your friend one-on-one to see who is champ. While most of the time I simply play multiplayer mode against people who are looking to either crush the rebellion, or defeat the Galactic Empire, I recently gave the Battlefront Battles a try the other day, and this game mode is actually quite fun. Battles can be found under Missions when you first load Star Wars Battlefront, and it’s located in between the Training and Survival game modes. Now if you don’t have someone to play against you can also play solo and take on the AI, which is just as fun, but I find it a lot more fun when you can actually play against one of your friends. 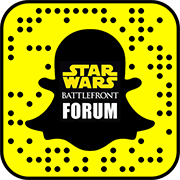 Here are some of the options that you have to choose from when joining, or starting, a game of Star Wars Battlefront Battles. Once you’re in the Battles game mode there are two options that you can select from, which are normal and Hero Battles. Normal battles are just that, they do not have any heroes or villains that you can choose to play as, on the other hand Hero Battles is where you can select the Battlefront character you want to play as. When you select Hero Battles, you can only select a hero or a villain. Once you have your game mode chosen, you then have to pick the difficulty of the AI bots that you will be facing. Some of the AI is actually pretty good, and I was pretty surprised when a few of them started to kill me when I was playing. There will be certain AI enemies that are better than others, for instance, Shock Troopers carry more firepower and are more difficult to kill than ordinary Stormtroopers. The final selection you have to make is whether or not you want to be on the Rebel Alliance or the Galactic Empire. This is a first come, first serve basis. If you happen to get to that screen before your friend and make your selection first, he will automatically get what is left over. So if you like playing as a certain faction, your best bet is to try to select your faction first. Once you have your allegiance chosen, you will be ready to start playing. I found this game mode to be really fun and something that I wish I had found a little earlier. You will notice at times that bots, or AI, can really be good at times. Regardless of which game mode you choose to play, you will have a set number of bots on your team that will help you, which is kind of cool. Your team bots will follow you around, shoot and kill other AI, and even try to take down and kill your friend if you happen to be playing against someone. Battlefront Battles is certainly worth a try if you haven’t had a chance to play that game mode yet. Have you played it? What do you think about the Battles game mode? Let us know what you think by dropping us a comment below, or feel free to stop by the forums to let us know what you think.